Set to become America’s first $1-trillion company, Apple’s shares surged 5.9 per cent in the wake of a strong 2018 fiscal third quarter earnings report, pushing the tech giant’s market capitalization to $973.2 billion (at the closing price of $201.50). 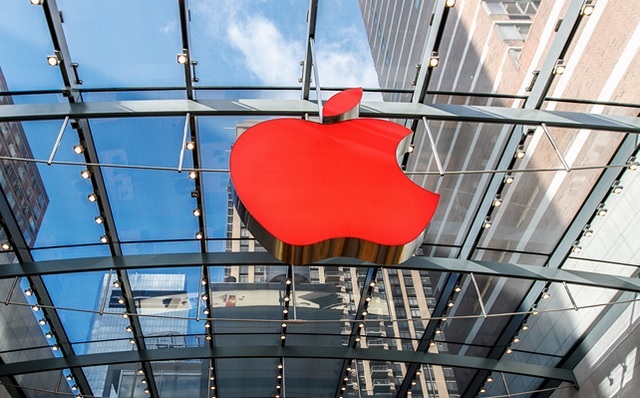 For Apple to reach a market capitalization of $1 trillion, its stock must cross $207. The Cupertino-based iPhone maker updated its share count to 4.83 billion (as of July 20) at the end of trading on Wednesday which translates into nearly $973 billion in market cap. If the tech giant hits the $1 trillion market cap level, it would be the first US corporation to reach the milestone. In 2017, China’s PetroChina Co. crossed the $1-trillion milestone but since then, the energy company has lost a massive $800 billion in its market cap. According to media reports, the stock nosedived after China announced key economic policy shifts in the last decade that did not go well with PetroChina. Apple, maker of the iPhone, iPad and other devices, said its fiscal 2018 third quarter revenue came in at $53.3 billion, up 17 per cent from the same period last year. The company reportedly aims to introduce at least three new iPhone models soon which may include a considerably larger version of the iPhone X and a less expensive version. When the new iPhones are announced and building on the momentum, Apple has a sureshot chance to become a $1-trillion company.